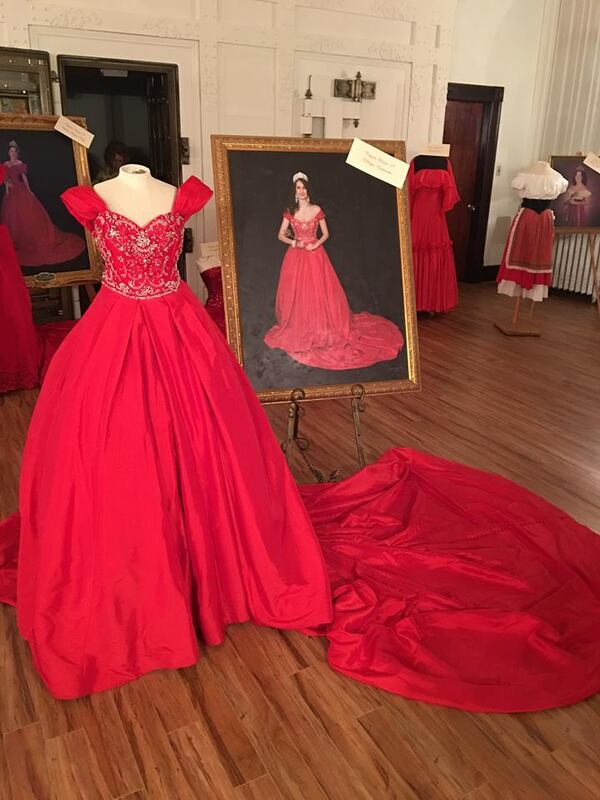 Since wearing the regal red ballgown five year ago, representing the West Virginia Italian Heritage Festival as Regina Maria XXXV, Elleyse Gemondo has earned a degree in and worked in the field of fashion merchandising and design. 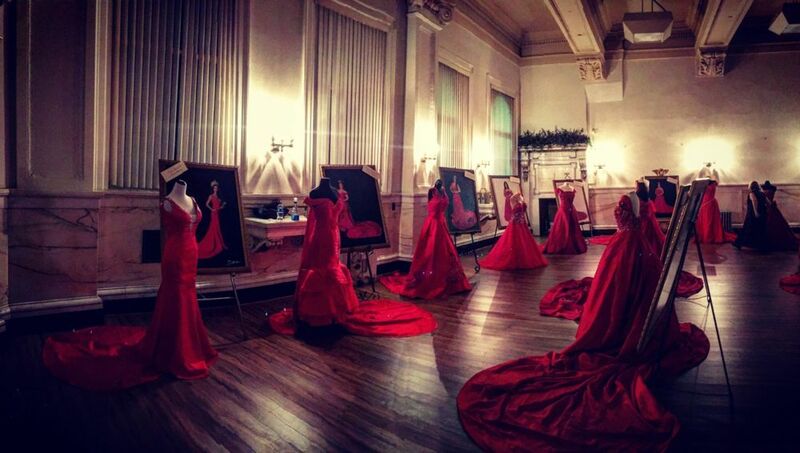 This year being the festival’s 40th anniversary, organizers felt it was fitting to create a display, offering the public a walk through the past four decades featuring the queens who served and the gowns they wore. Chair of WVIHF Queens Committee, Rose Mazza, thought Gemondo was the girl for the job. It’s interesting to see how the gowns have evolved through the years, she said. Those of the early-2000s feature ballgown styles and in recent years have transformed into mermaid and form-fitting styles, she said. The display currently contains gowns and/or official queen portraits of 23 former wearers of the Regina Maria crown. 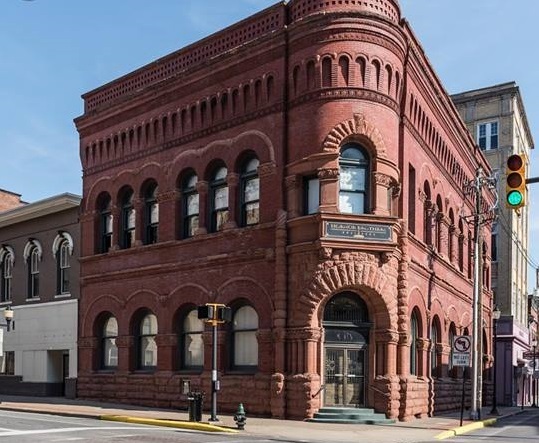 Located inside Merchants Bank Building across Main Street from Harrison County Courthouse, the display will be open 1-4 p.m. today, Saturday and Sunday. “This project was especially exciting for me because it combines two things I love – my Italian heritage and fashion,” Gemondo said. Gemondo acquired visual merchandising skills through West Virginia University, graduate school at LIM College in Manhattan and by working full-time as a visual merchandiser for Macy’s. She has also performed freelance visual merchandising work for Feathered in Bridgeport and both Wicked Sisters and Embellishments in Clarksburg. “All of this background has given me the skills to be able to pull off such a special event, representing the different faces of the festival over the years,” she said. Editor’s Note: Gemondo added that no food or beverages are permitted inside the display and no touching of the dresses or portraits as both the gowns and photos represent very valuable memories to the queens and their families.